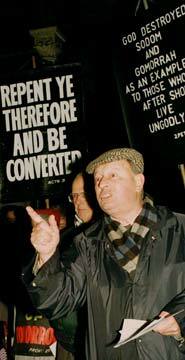 The Archbishop of Canterbury has condemned evangelist “bulies” who attempt to convert people of other faiths to Christianity. Dr Rowan Williams said it was right to be suspicious of proselytism that involves “bullying, insensitive approaches” to other faiths. In a speech at Guildford cathedral, Dr Williams criticised those who believed they had all the answers amd treated non-Christians as if their traditions of reflection and imagination were of no interest to anyone. “God save us form that kind of approach,” he said. In his address, titled “The Finality of Christ in a Pluralist World”, Dr Williams addressed difficulties modern Christians have with Biblical texts which suggest that Christianity is the only path to salvation. Dr Williams admitted that in the past four decades, the problems around the classical interpretation of these texts had become more prominent. He also asked about the generations before Jesus and the many cultures untouched by Christianity. He raised a political objection to the claim that Christ is the final truth about God and the Universe, suggesting it had helped justify “wicked” things such as crusading and colonialism. “What could we possibly mean by saying that a truth expressed in the Middle East 2,000 years ago was truth applicable to everybody, everywhere?” he asked. Belief in the uniqueness or finality of Christ, in the way it has usually been understood, is something that “sits very badly indeed, not just with a plural society – whatever that means – but with a society that regards itself as liberal or democratic”. The Archbishop’s speech was an attempt to reconcile the claims of the Bible about Jesus and Christianity with the multi-faith societies in which Christians around the world must live. The Gospels and the rest of the New Testament urge believers to spread the “good news” or evangelise, but the need for good relations with other faiths in the secular world militates against proselytism. On the question of whether Christians could legitimately believe that people of other faiths could be saved, Dr Williams said believers were too reluctant to leave this to God to sort out. This entry was posted on Monday, March 15th, 2010 at 5:19 am	and is filed under Uncategorized. You can follow any responses to this entry through the RSS 2.0 feed. You can leave a response, or trackback from your own site.